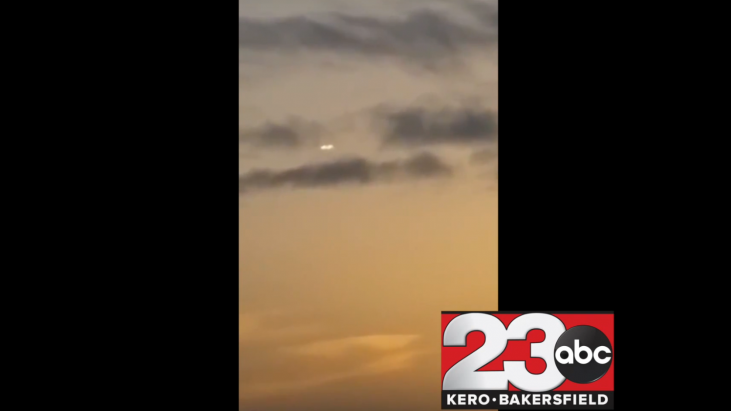 Residents reported spotting a mysterious glowing UFO hovering over Bakersfield, California on April 14, 2015. One resident who witnessed the incident submitted a video via Facebook to the local news channel 23ABC Bakersfield. 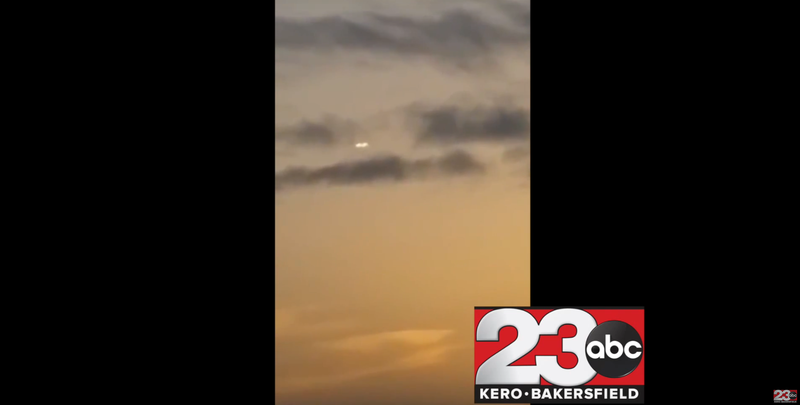 The witness, Alex Viveros, captured the glowing UFO in the sky over Central Bakersfield off Union Avenue at about 6 a.m. on Tuesday, April 14, 2015. 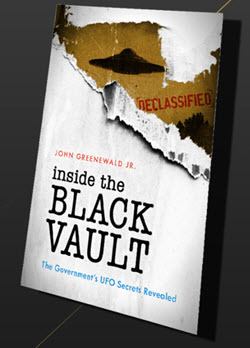 Although some suggested the light was from an aircraft preparing to land at Meadows Field Airport three miles northwest of Bakersfield, Viveros’ observation that the UFO appeared and disappeared abruptly raised questions about the suggestion. The video shows the glowing UFO moving slowly in the sky. It stops at a point and hovers briefly. 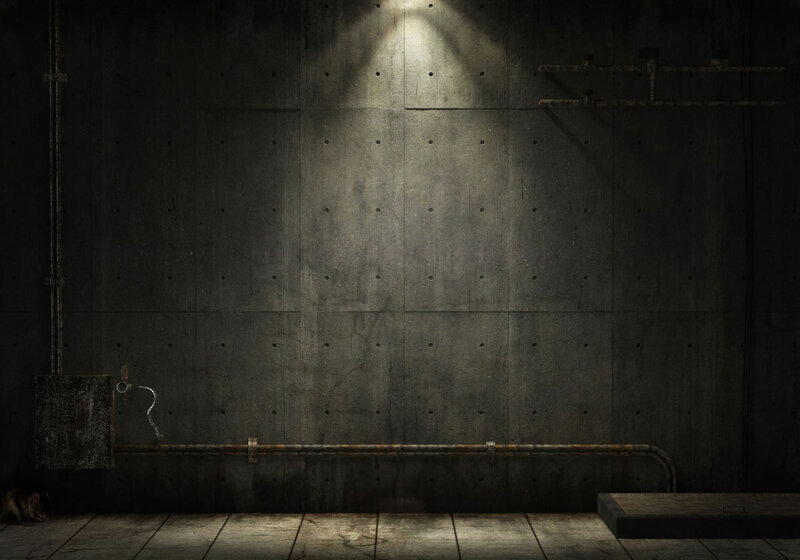 The light also appears to vary in brightness, increasing in intensity for some time. Based on the observation that the light appeared to stop and hover in the sky, some argued the UFO’s behavior does not support the theory that it was the light of an airplane preparing to land at the nearby airport. Open Mind’s Jason McClellan weighed in, saying that when viewed from different perspectives planes sometime appear to stop and hover in the sky as they prepare for landing. The sighting is the third in three consecutive months over Bakersfield. Residents reported a sighting on February 14. On March 14, residents reported seeing a mysterious blue light in the night sky. The latest sighting was reported on April 14. Some would consider the recurrence of the 14th day of the month significant.